How many times have you been rolling through a first person shooter with a shotgun or submachine gun and thought, "Man, I know there's a sniper over there. If I had a medium to long-range rifle, I could --" BANG!! Respawn. All the time? You know it. How would you like to change your loadout on the fly? Warface, the F2P FPS, has got you covered. Do you want more accuracy, range, or fire power? Mod your weapon on the battlefield and craft the right tool for the job. You can see it in action in the following trailer. 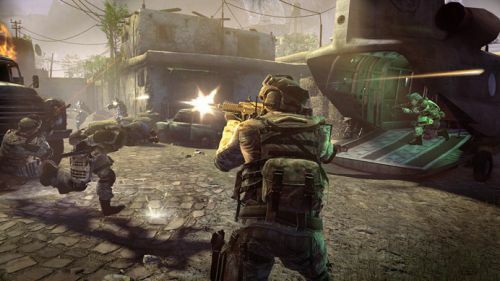 Warface supports "evolving" five player online co-op. There will be daily challenges and unique gear earned in cooperative missions. You can visit the site and sign up for the closed beta. The game is expected to be out later this year. Page created in 0.2735 seconds.